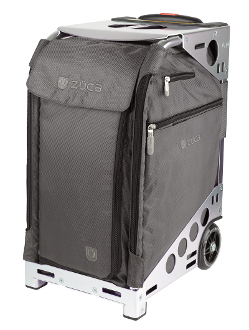 ZUCA Pro Travel Graphite Gray & Black Carry-On Bag. You can easily fit between 6-7 days worth of clothing (depending on the season) into one of the best carry-on pieces of luggage you can own. Great for the professional or leisurely traveler or kids who travel on competitive teams.